Mum of Five Staying Sane: Will my house ever look nice or is it destined to always look like a Toys R Us store threw up in every room. Is unfinished paintwork, bathrooms and gardening the new look for this season?! Where do we start??? Will my house ever look nice or is it destined to always look like a Toys R Us store threw up in every room. 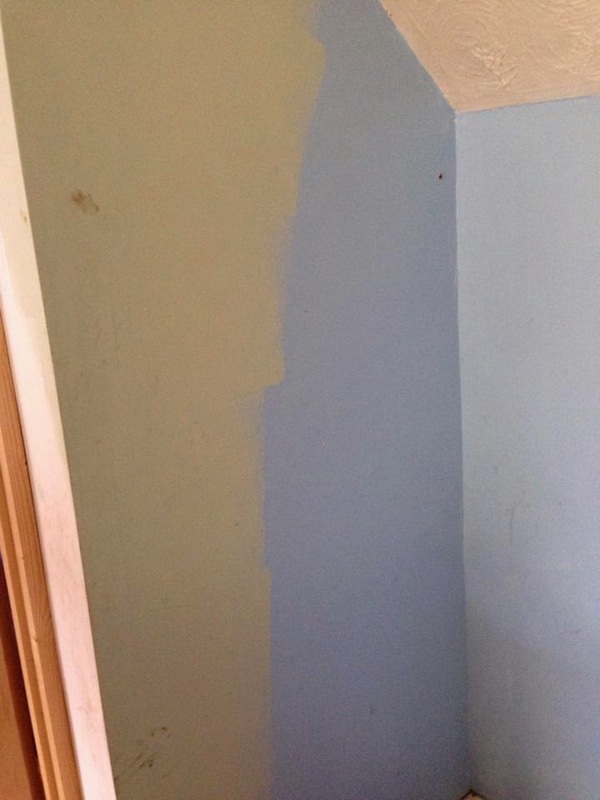 Is unfinished paintwork, bathrooms and gardening the new look for this season?! Where do we start??? I want a relatively tidy, nicely decorated house! Back in September Thing 4 started school and I was down to just one child in the house with me during the day. I was so cocksure of myself when I announced that it would be so easy to tidy the house and keep it tidy. Why did I think that? Why did I think it was going to be easier? I still have the same children coming home after school each day. The same unhelpful children that help with nothing. I still have Thing 5 who is such a Mummy's boy that there are days where he won't leave my side. I don't mean that in a helpful way either. I'm not here cleaning and tidying with him following on the same, oh no! He is there next to me untidying as I tidy. As I try and pack some toys away in a box he is revelling in the splendor of finding toys he had forgotten we owned because they were buried in a pile with the hundreds of other toys that said Thing's hadn't tidied away themselves. 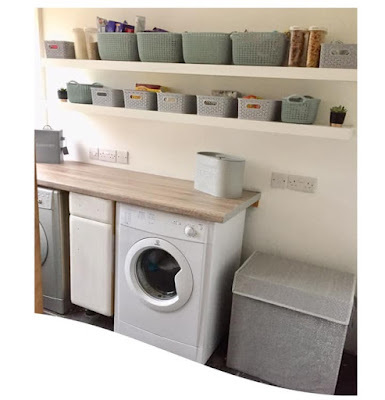 I do spend my days in the utility room putting clothes in the washing machine and tumble dryer, folding clean washing and sending it off to various rooms to be put away, The dishwasher is constantly on and needing loading and unloading. The poor hoover is overworked and underpaid and about to go on strike and mopping the floors is the job I hate most but it has to be done! I try and keep my own bedroom tidy so at the end of the day it is a nice room to go to but even then I usually find some toys have made there way in there or the OH has left some clothes on the floor. Grrrrrr! 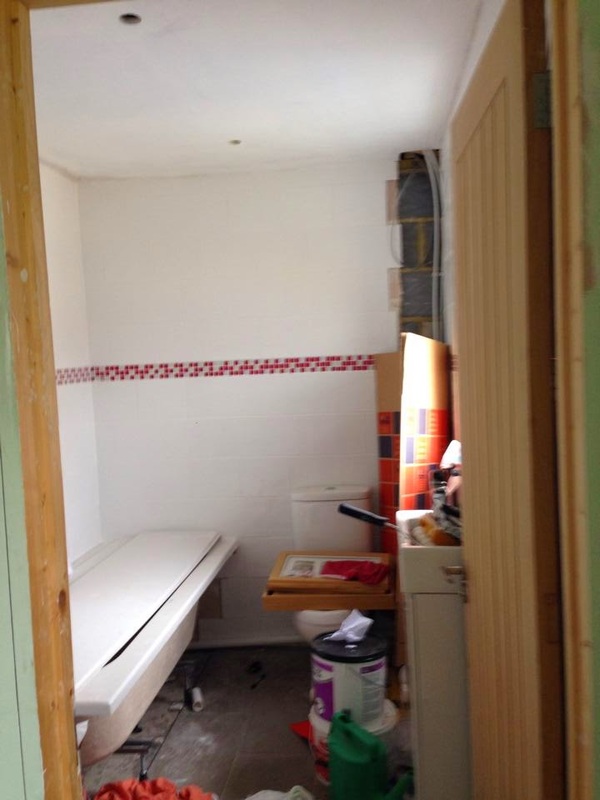 The unfinished bathroom which has also slowly become a storage room too. If we can't use it for it's rightful purpose we may as well use it for something, right??! It's not just the untidiness of the house that gets to me but the unfinished jobs from the, still ongoing, extension/renovation work. We half painted the hallway and didn't finish it, the same with the kitchen. We never started painting the utility room or tiled the floor so that still needs doing. 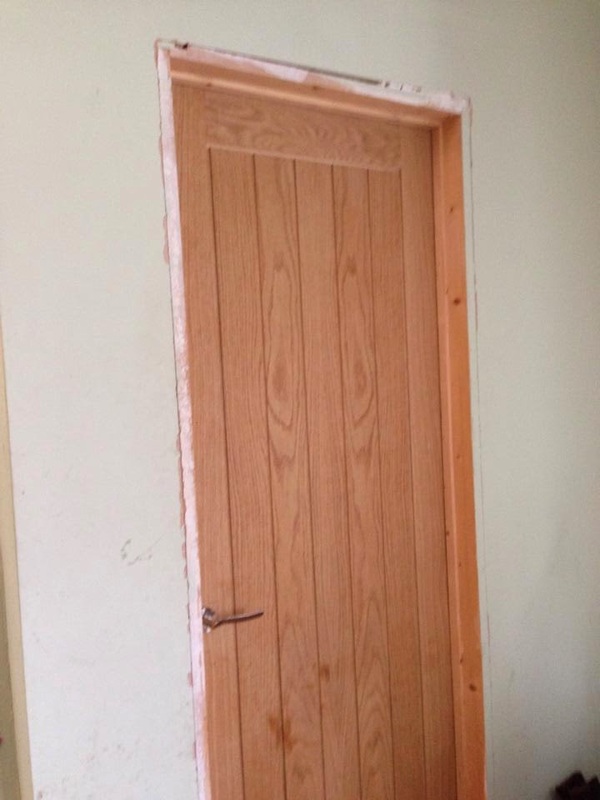 The doors don't have surrounds on them and there is no skirting board in the hallway. The downstairs bathroom still isn't usable and the whole purpose of having an extra bathroom was so there wasn't the queue for the one bathroom we already had. 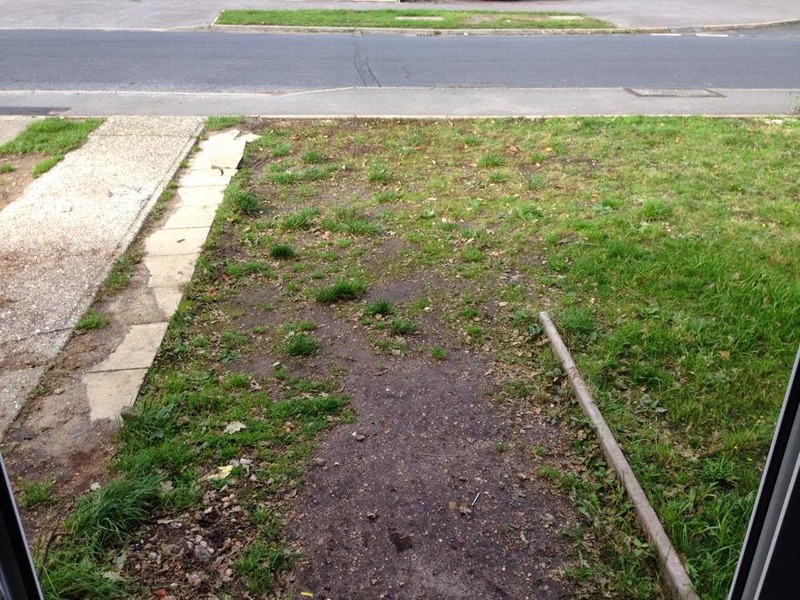 The front garden is just a mish mash of the pre existing driveway, no pathway to the front door and a patch of grass that the OH was desperate to keep but actually I just want to make a pathway to the door and then completely change the rest of it. All these jobs are time and money dependent of course. Funds for extension completion have completely dried up and it's now on an 'as and when we can' basis and to a standard we like but would have preferred better. Plus the time to do it too. When the OH comes in from work he doesn't want to get into home improvement mode and at the weekends it's a nightmare trying to get anything done with all the children around. Unfinished door surrounds and 2 tone paint jobs? I don't even like either of those colours any more! Am I asking for too much to have a pathway to the front door? One that doesn't flood and get muddy when it rains. One I can push the pushchair down to get to the front door without traipsing all the mud into the house? I had this vision in my head of a lovely pathway with a little tree either side of the front door. A little number plaque at the side of the door and it looking more presentable than it's current Steptoe's yard state! The front garden view from the front door outwards. On the left is the pre-existing driveway. I need a pathway between that and the wooden plank on the floor you can see to the right of the picture. The OH wanted grass on the right hand side but we also need 2 parking spaces. Arghhhh! The front room was painted recently but the older Thing's leave their pens laying around and Thing 5 has drawn a couple of nice murals on the walls. So that's extra painting work to do. I had big plans for the front room as mentioned in a previous blog post and as yet nothing has been done apart from the painting. 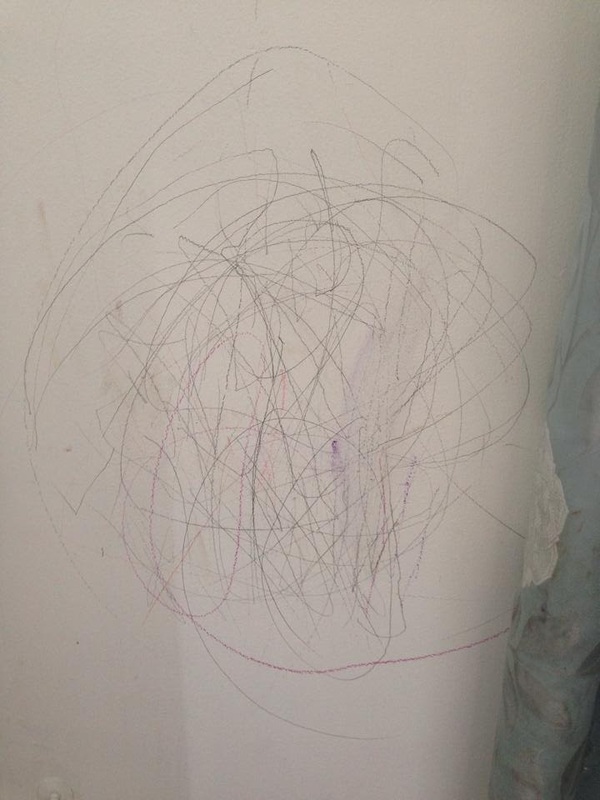 Thing 5's artwork, it's not quite a Banksy is it?! Bedrooms are the Thing's own responsibilities so inevitably they are left to get messy and untidy. No amount of gentle coaxing, shouting, arguing, trying to stay calm or threats of bagging it all up and taking it to the skip works on trying to make them tidy up. They are also less keen to help out with the rest of the house too even though most of the mess is theirs! So as the days, weeks and months fly by I find myself asking more and more 'Where does the time go'? I am in some days and still don't get a lot done and then all of a sudden it's time to go and get the children from school and start thew whole evening routine of dinner, homework, play, bath, bed etc.... Each week I grumble at myself for not achieving anything that is written down in my little book of stuff that needs to be done or how I would like my house to look. The conclusion I have come to is that I need some skirting board, a nice garden and a finished bathroom and I may just be happy. Plus a cleaner and Supernanny and I will be really happy. Or someone to stand over me and make me get it all done and someone to take Thing 5 off my hands for a few days, months or years??!! For now I'm going to carry on wandering past the abandoned washing machine that stands in the kitchen and the dismantled cot in my bedroom. It won't stay there long the OH said??!! 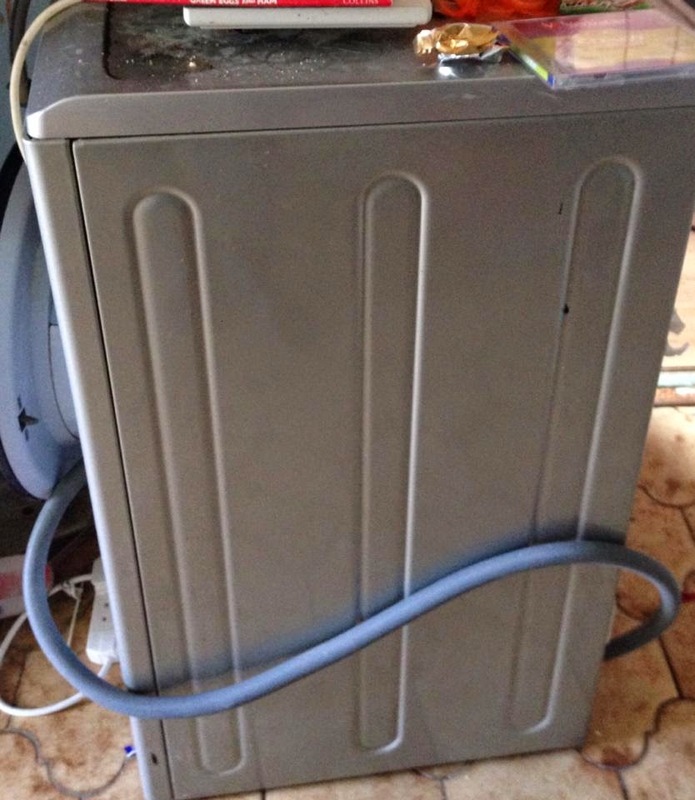 The dreaded abandoned washing machine. Hey, you are doing a great job. I love your show and lately your website has been a real help for me.This looks unbelievable! You did a spectacular job! What an inspiration!